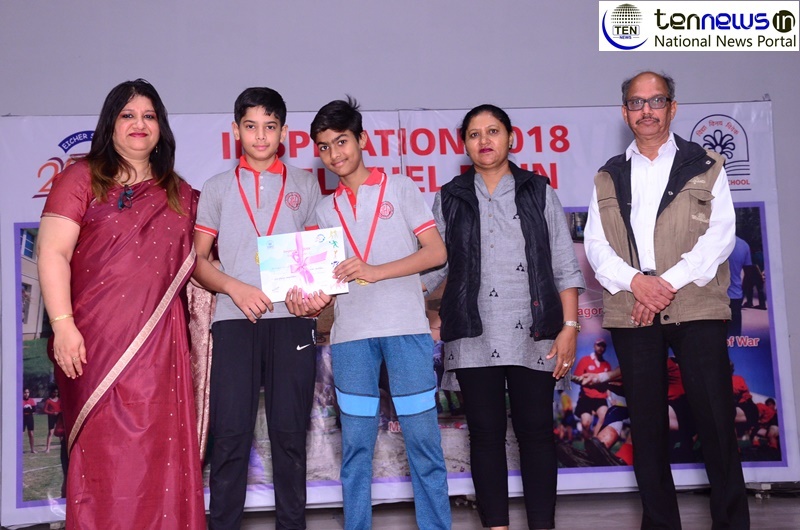 Eicher School Faridabad Hosts "Inspiration Khel Khel Mein"
India, (5/12/2018): Eicher School organized an inter school 3-day event ‘Inspiration-2018- Khel Khel Mei’. Many schools participated in this event. The main objective of this event was to bring people closer to the games that have been disappeared from this generation. The games like Marble, Gallery, Pithu, Kite flying, Gilli-Danda, and Tug-of-War were born again. The programme started with a song where the children showed the feeling of sportsmanship. The chief guest of the programme was Sh. Ashok Saini, Deputy Director of Sports. He addressed the audience by saying that playing games not only make our body fit but also make our mind stress free. He appreciated the efforts made by Eicher School, Faridabad and also added that other schools should also take an initiation towards these types of games so that today’s generation can also feel the charm of these old games. On the final day of the event, the chief guest was Ms. Mary Masih, DSO, Faridabad. The winners were given awards by the chief guest. In her address Ms. Mary recalled the days of childhood. She said that this event has refreshed the memories. She said that being so ancient for the country; these games should be included in the list of official sports at the National Level. Ms. Ritu Kohli, Principal Eicher School, Faridabad in her thanks giving address talked about the importance of games and also recalled the way games were played in a few decades before.